I got this recipe from Jae Steele's book Ripe from around here. 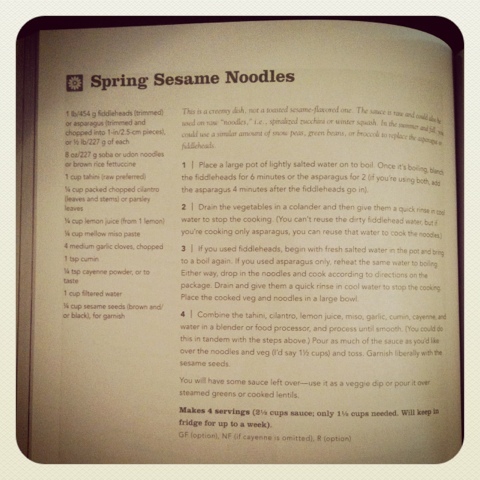 It's actually called Spring Sesame Noodles, but it can be altered to be made all year round. I usually cut down on the tahini and add a bunch of extra veggies. 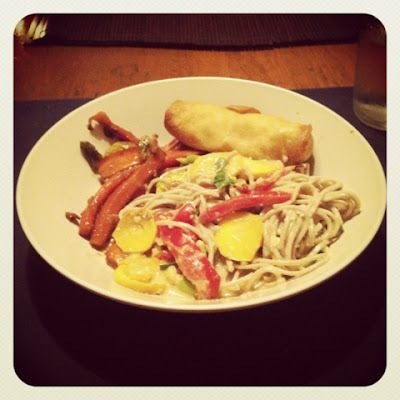 Posted in "Jae Steele", "Ripe From Around Here", "Vegan cookbook", "Vegan", "recipe"